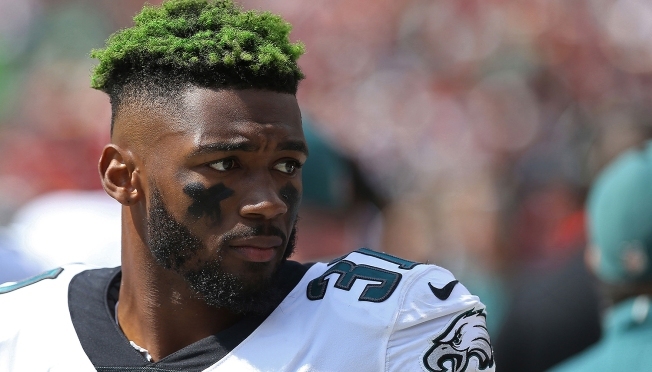 Eagles cornerback Jalen Mills was arrested early Saturday morning outside a Washington, D.C., nightclub for disorderly affray - a legal term for disorderly conduct - after a fight that sent a Washington Wizards basketball player to the hospital. According to the police report, obtained by NBC Sports Philadelphia's John Clark, Mills and Devin Robinson were both arrested after an argument turned into a fight outside the Opera Nightclub following a Wizards party. Robinson was taken to Sibley Hospital. Both were arrested. There is no known previous connection between Mills and Robinson. Mills is from Texas and attended LSU, Robinson is from Virginia and attended Florida. Robinson is 24. Mills turned 25 last weekend. Mills, entering his fourth NFL season, was a starter on the 2017 Super Bowl championship team. His season ended with a foot injury after eight games last year, and he's not expected to participate in the spring minicamps. Robinson played in seven games this year, averaging 6.7 points and 2.9 rebounds in 20.6 minutes. He's played in eight career games. The Eagles have not released a statement about the incident. Even though Mills has been a starter when healthy the last two years, his starting spot is not secure going into 2019, both because he's coming off a serious injury and because the Eagles have a stable of promising, young cornerbacks, including Rasul Douglas, Sidney Jones, Avonte Maddox, Cre'Von LeBlanc and Ronald Darby. Mills was arrested in 2014 for second-degree battery of a woman, a charge that may have led to Mills dropping into the seventh round of the draft and a allegation Mills has always denied. The charges were reduced to a misdemeanor and eventually dropped after he entered a pretrial diversion program.